It says on the rally plate, ‘ Britain’s Premier Vintage Rally’ an apt description of the Flying Scotsman which has proved so popular over ten editions. 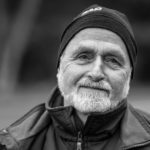 It still rates amongst competitors as one of the blue riband events on the vintage rally calendar, started by the Endurance Rally Association legend Philip Young. 90 vintage and one veteran car from 12 countries bare testament to the draw of the three day 700 mile timed navigational event. It starts from Lake Windemere on Friday 5th April and finishes at Gleneagles on Sunday 7th April. From very competitive crews to those just wanting to finish, some just want to enjoy the incredible environment and social scene, there is something for everyone on the Flying Scotsman. The event celebrates the inaugural record breaking run of the famous LNER Class A3 4472 ‘Flying Scotsman’ steam locomotive that hauled the express passenger train between Edinburgh and London. It was the first train to travel the 392 miles non – stop in just over eight hours in 1928, around the same time many of the vintage cars on this event were built. Six years later in 1934 it became the first train to be timed at over 100 mph. The ‘Flying Scotsman’ was part of popular culture then as now, just as the motoring icons of Bentley, Alvis and Lagonda were during the same period and endure today. Pioneering, record breaking designs still being used today. So it is fitting that the 11th Flying Scotsman vintage rally 2019 is taking place again in the same year that the locomotive legend is taking part in special tours this year from March to December, back on the rails again. Indeed, the link to the railways is reflected in the titles given to the event officials on the Flying Scotsman. Clerk of the Course and route designer Anthony Preston who has crafted another remarkable route, is called the ‘Engine Driver’. ‘The Station Mistress’ is Rally Secretary Eleonora Piccolo, Chief Marshal Bob Hargreaves is ‘Chief Signalman’, so it is hoped that crews are not offered British Rail sandwiches at any point along the route. With a mix of tests and regularities over the three days of competition, this outstanding route will take the 91 cars over some remote and hazardous roads. Through the Lake District National Park and across classic fell roads, teams will stop at Alston where there is a heritage railway theme and on to the ‘Roof of England’ the Northern Pennines. 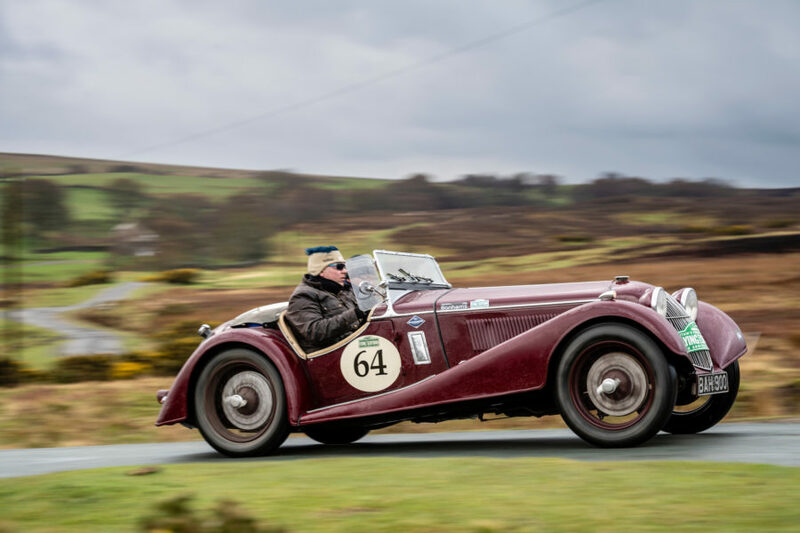 From Cumbria to the Scottish borders on day two, the rally will navigate it’s way along the famed B roads of the region ending up at the famous Turnberry Resort in Scotland. The final day takes the cars through Ayrshire over the Clyde to the simply stunning Trossachs, then to Callander, Loch Earn and glorious Gleneagles for the finish and the Gala Prize Giving. 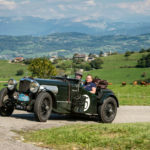 The Flying Scotsman has acquired a compelling reputation amongst international competitors, many of whom are back to enjoy another FS rally in 2019. Dutch pair Bob Compiet with navigator Minouche den Doelder are amongst them in their 1936 Lagonda LG45. 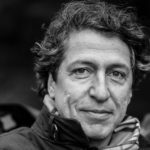 Minouche explained ; ”From my point of view this is ‘the Mother’ of rally events. It was the first international rally that I had heard of so we trained for our first FS on the Alpine Trial. I am the navigator, that presents quite a challenge on this event, I have a hard time trying to do the mathematics whilst attempting to instruct the driver at the same time. We have stopped trying to translate into Dutch as there is so little time! I would love to swop places with my husband as I’d rather drive than navigate, but unfortunately the steering is too heavy for me. “Our Lagonda is a coupe which originally came from the factory. It’s powerful and I’m impressed by it’s performance although it’s funny as it is both butch and elegant at the same time! We call the car ‘Big Henry’. 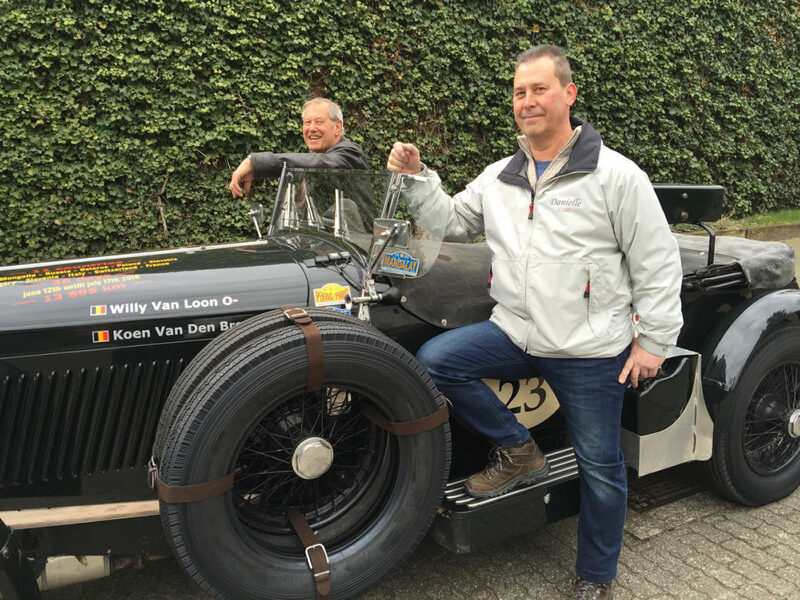 Belgium is represented by Willy Van Loon and Koeh Van Den Broeck back for their second Flying Scotsman in their 1935 Bentley Derby after an alarming accident on their first FS in 2017. Said Willy; “ We had brake failure on day one causing a severe accident in which our car was heavily damaged fortunately without injury to ourselves. 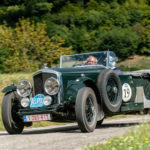 Following repairs over a one and a half year period we entered the Alpine Trial in September last year, the Bentley was one hundred percent reliable and is now ready for future events. “FS is very special compared to other rallies we have competed on. 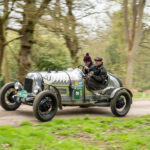 I have some other classic cars but my Bentley is the only pre war car in the collection, and apart from the London Brighton, the FS is the only rally event where pre 1941 cars are allowed. Therefore it is unique. “ The challenge is to stay alert the whole time as the tests and regularities follow so quickly after each other. I love the comradeship between all the competitors who gather from all over the world to participate, but for us it’s the Olympic thought that counts. ‘It’s more important to take part than to win.’ There are diehards who always want to win of course, but they are OK too you know! Amongst many luminaries taking part are famed motor dealer and competitor Peter Lovett with former World Rally Champion navigator and current Chairman of Motorsport UK, David Richards alongside. The pair are in Peter’s gorgeous Frazer Nash BMW 328. Carlo Classic, covering 2800 trouble free miles from Bicester to Glasgow, Monte Carlo and back to Bicester! Although John did say in the right hands it’s a ‘beast’. John summed up the Flying Scotsman by saying; “There is something for everyone. It is one of the best as it offers something for every kind of person. It’s challenging if you want to win, or if you are an average guy like me who finished 39th last year, then you just want to improve on that performance this year. 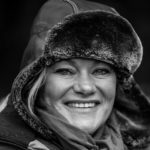 “There are experienced people who share tips and give advice, for example, one competitor literally gave us a masterclass in navigation each night, in what other motor sport event would that happen? There are some who just want to take part and socialise each night, nothing feels too exclusive- nobody minds.